Rent Sisko Gallery | Corporate Events | Wedding Locations, Event Spaces and Party Venues. With one of the largest sculpture representations in the Northwest, Sisko Gallery uses a contemporary industrial setting to create a casual yet elegant atmosphere to allow for a comfortable art viewing experience. Sisko Gallery shows work ranging from contemporary realism to non-objective from both established and emerging American artists that have been ambitious in pushing both their own craft and artistic standards. 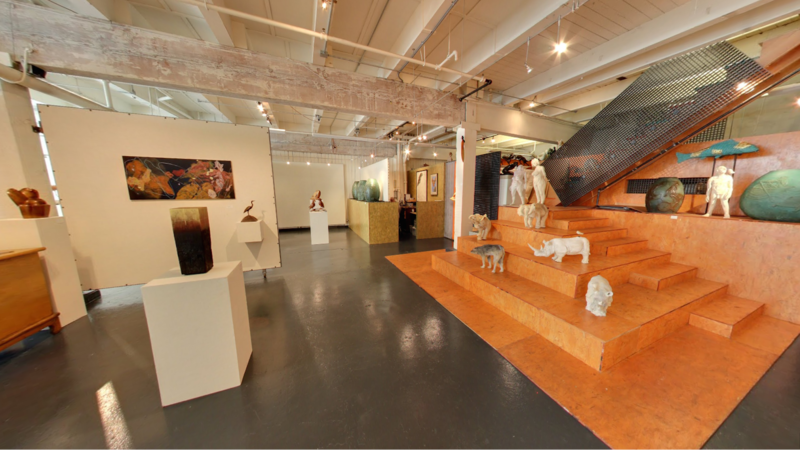 Specializing in sculpture by nationally recognized artists and artists of the Northwest, the gallery also represents selected painters, photographers and mixed media artists. Located near the Seattle Art Museum's Olympic Sculpture Park, the gallery presents single artist exhibitions and group exhibitions with a focused theme. Sisko Gallery offers an elegant and creative space perfect for private parties, evening cocktail receptions or simple meet & greets. With 1,200 square feet, 14' ceilings, dynamic lighting and original artwork, Sisko Gallery is sure to impress and entertain your guests. Conveniently located 100 yards north of Seattle Art Museum's Olympic Sculpture Park (next to Myrtle Edwards Park), Sisko Gallery accomodates events upwards of 25 people with flexible hours and ample evening parking. The gallery also offers an opaque curtain between the main space and the front windows to ensure privacy. Additionally, the attached studio offers a behind-the-scenes glimpse into the creation of bronze sculpture. Sisko Gallery’s unique and sophisticated atmosphere is guaranteed to leave a lasting impression.